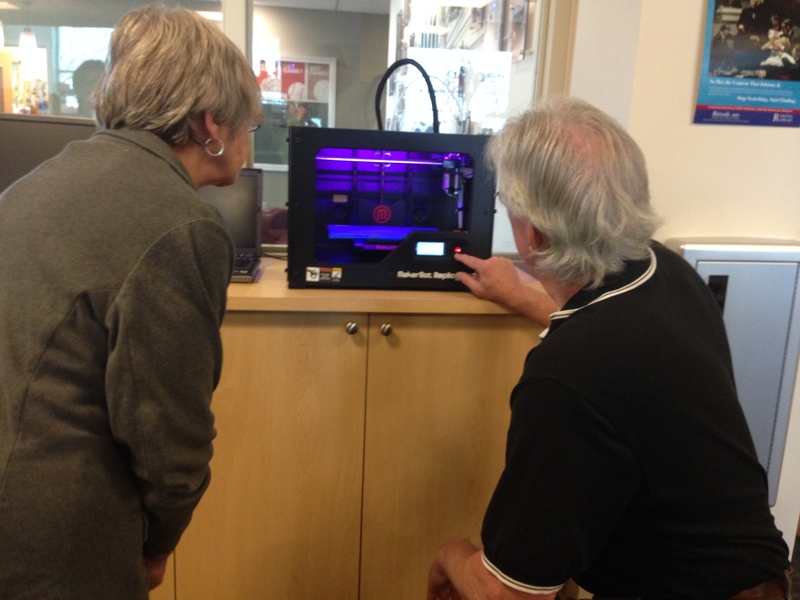 Chip Thermer, Manufacturing Program Administrator, stopped by the HFL this morning to fire up our new 3D printer. It was delivered to the library a few weeks ago, but we had to wait a while to set it up. We’re all really excited to finally be able to turn it on and make things. Here is Chip showing Marilyn the fun stuff. Here is the printer in action. 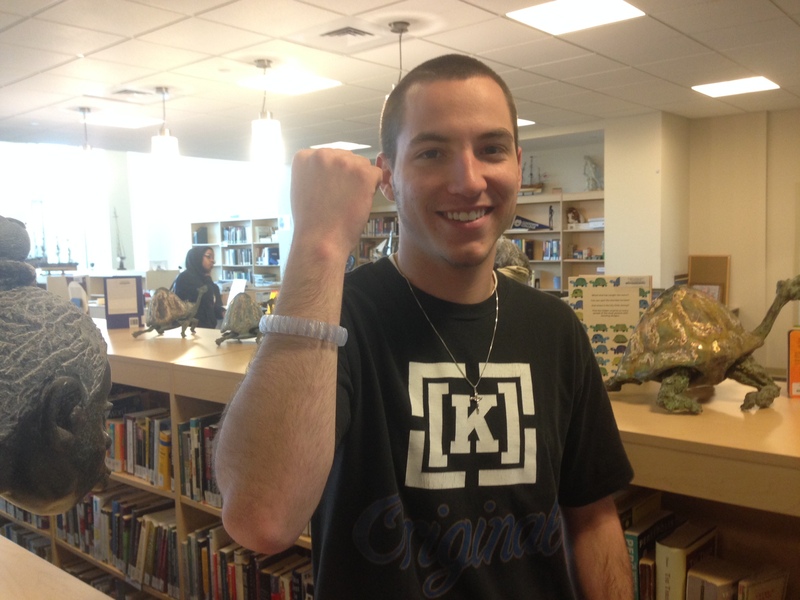 Here is model/student worker Holland showing off the first object we printed: a bracelet! And here it is in motion. 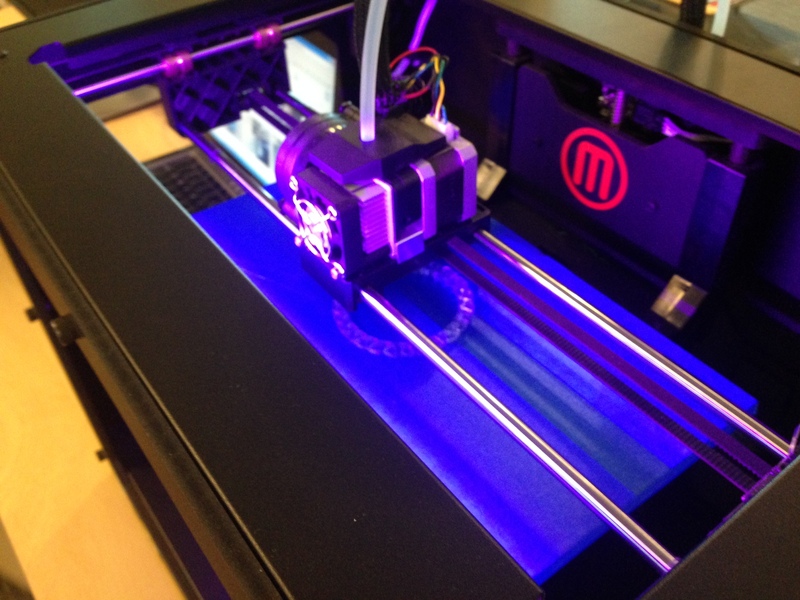 Posted on 14 April, 2014 17 April, 2014 by ConorPosted in Conor's CornerTagged 3d printer, makerspace.